Red Wheel ∕ Weiser Online Bookstore | Fanon For Beginners by Deborah Wyrick, Ph.D.
Philosopher, psychoanalyst, politician, propagandist, prophet...although difficult to categorize, Frantz Fanon (1925�1961) is one of the most important thinkers of the 20th century and one of our most powerful writers on race and revolution. 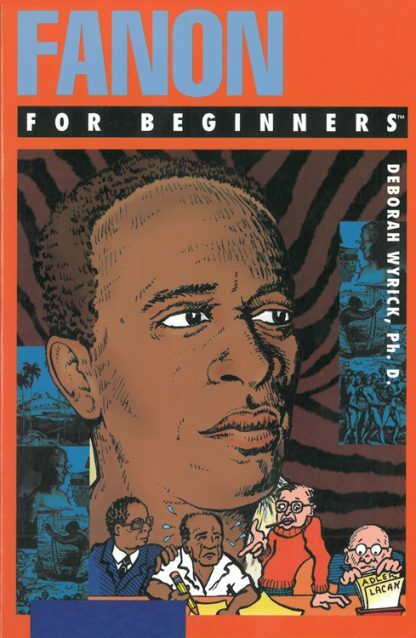 Fanon For Beginners concludes by examining Fanon�s influence on political practice, such as the Black Power movement in the United States, on literary theory, and on political studies showing how his works and words continue to have a profound impact on contemporary cultural debate. Dr. Deborah Baker Wyrick received her Ph.D. in English from Duke University, her M.A. from North Carolina State University, and her B.A. in Art History from Duke University. Dr. Wyrick currently resides in Cary, North Carolina where she is the Senior Writer & Editor at Yellow House Design. She is retired from her position as a Professor of English at North Carolina State University.